Clew Bay Marine Services (CBMS) is the only fully licensed Irish contractor focussed on providing essential navigation aid and mooring installation and maintenance services. CBMS was registered in 2005 to provide engineering and other services to marine industries and organizations with responsibility for marine structures. 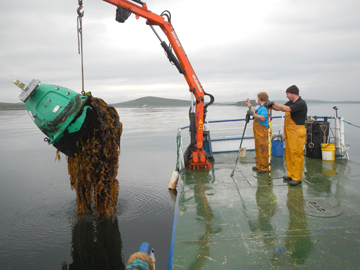 CBMS is based in Kilmeena, Westport, Co. Mayo and is situated on Clew Bay. Their current customer base includes public authorities such as County Councils, harbour authorities and Irish Lights, as well as private companies (fish farms), boat and sailing clubs, and private individuals. Their work platform has been designed to be readily transportable and CBMS has thus been able to competitively service customers as far away as Wexford. CBMS is the only Irish provider of this service utilizing a purpose built shallow draft vessel enabling them to service navigational aids where they typically reside – in shallow waters. The principals of Clew Bay Marine Services are Peter MacDonagh and Padraig McCormack. They are backed up by Alex Blackwell. 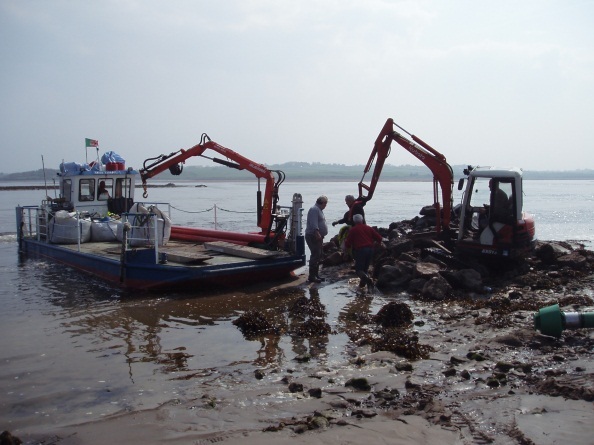 All have been working in the marine sector for well over 25 years. 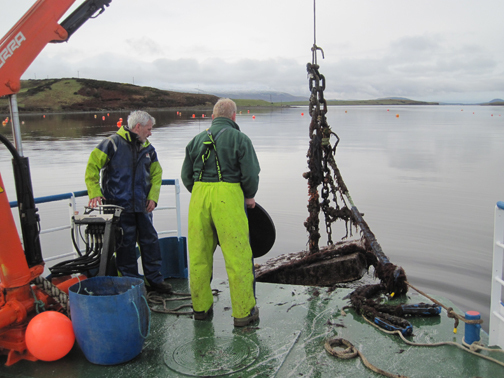 Peter and Padraig are both professional divers and qualified marine operators for salvage, survey mooring and navigation aid installation and maintenance, while Alex is a licensed Master Mariner and has an MSc in Biology. Together they provide support services to aquaculture, private and semi-state organizations. They are a rounded team, which is positioned to serve projects nationwide. CBMS also has the unique capability of being available on short notice for small maintenance or upgrade jobs because of their proximity and the transportability of their specialized work platform. This might be for future maintenance or relocation of navigational aids, or the transport of machinery, supplies or other equipment to an island or an otherwise inaccessible place.